The VERTEX ProTekk mechanical leak detector is a leak detection and automatic water shut-off system designed for any type of residential or light commercial point-of-use water treatment or appliance in homes, condos, apartments and offices. The over-center trip mechanism insures positive valve closure to stop leaks before they can cause damage. 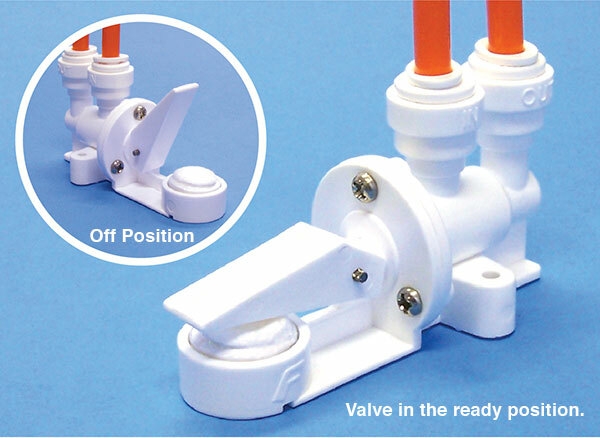 Install anywhere a leak might occur using the pre-molded mounting holes or supplied adhesive strips. The activation cartridge can be easily replaced to bring the detector back to full operation without the need for tools or reassembly. No power source needed. Available with 1/4” or 3/8” push-fit connections. Comes with 2 activation cartridges. 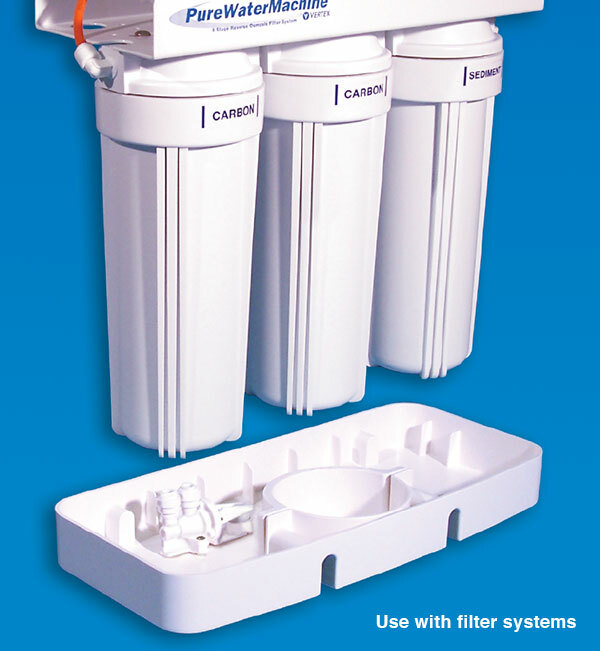 Add the Protekk Water Tray to protect 3, 4 or 5 stage Reverse Osmosis or filter systems that are set-up in a standard sump configuration. The tray installs underneath new or existing systems to catch water leaks and prevent them from damaging floors, walls and counters. A convenient clamp secures drip tray to filter assembly. Designed to be used with the Vertex mechanical leak detector that will shut off feed-water when a leak is detected. Comes with everything needed to attach to filter housing, or place on floor.